SFC - Short row sleeve cap. This was NOT fun but it was educational. 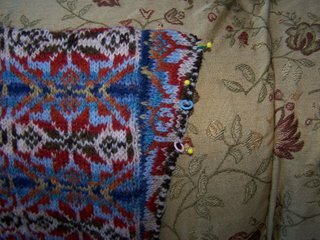 First you pick up all stitches from around the sleeve except for those held on a holder for the underarm. 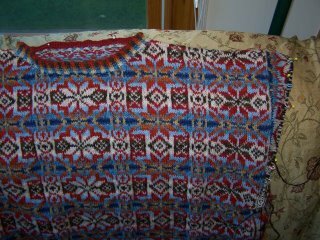 Then, starting at the top of the shoulder cap, you work back and forth in pattern, decreasing by wrapping a stitch as the pattern rows turn. 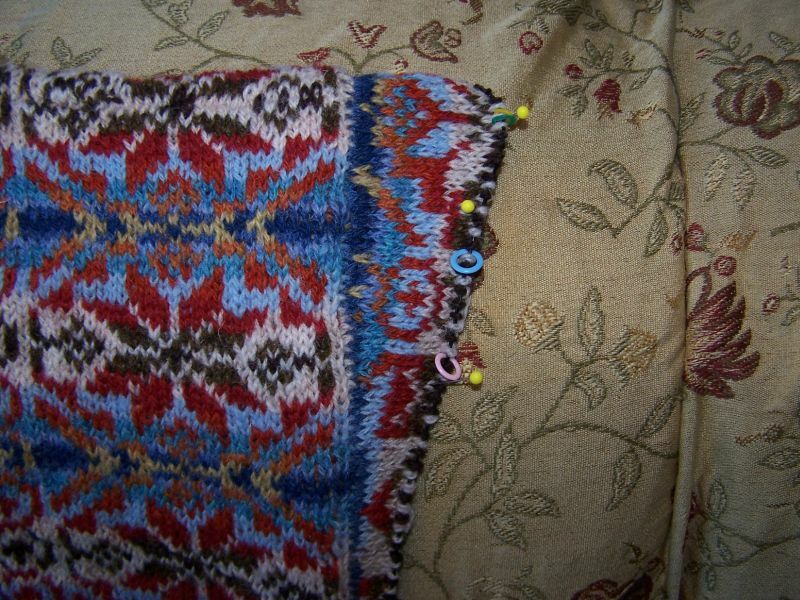 Hours of trying that - no way so I finally just "cheated" by knitting one of the rows over to the decrease and purling back in pattern for the next row. Break the yarn and move the next row's added stitches over to the needle. Repeat until cap is done knitting two together instead of short row wrap. Maybe one day I'll sit with a knitter who has done this before and see how it is really supposed to be done. BUT - the cap is done, ready to start the sleeve pattern, top down and decrease as usual along the way. 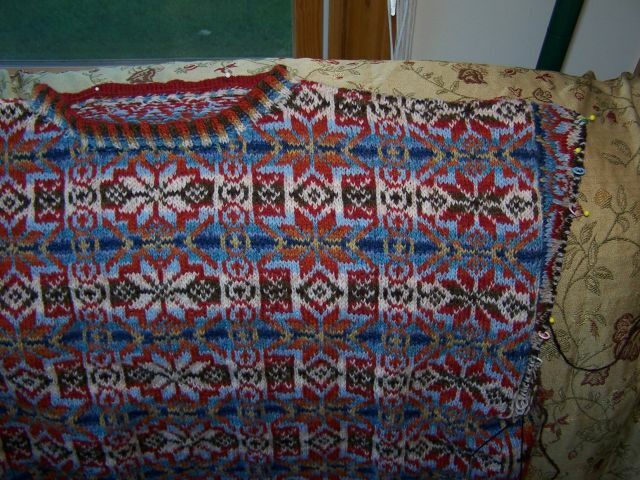 I've learned so very much from this sweater especially the fact that it takes a long time to knit a Fair Isle. Anne, Shirt Tail really is an advanced knit. You're doing a fabulous job. Keep up the good work.